(visible) Along the dark dust lanes, bright pink nebulae are the birthplace of new stars. (X-ray, lower energy) Before leaving these stellar nurseries, the most massive stars die in supernova explosions, which heat the surrounding gas to X-ray temperatures. I'm not very familliar with star formation processes. These might be considered as separate questions, but I've put them here together because they all refer to the same two sentences in this video, and it's likely that those familliar with nurseries, or wanting to know more about them, will have something to say or learn about all three. Do stars tend to leave "these stellar nurseries" after a while, and it's only the short lifetime of the most massive stars that keeps them from leaving before going supernova? What impact does the heating of surrounding gas to X-ray temperatures have on the formation and evolution of other stars within a given "nursery"? Are there really such things as spatially well defined "nurseries"? Are they distinct and roughly countable, or is this a subjective popular term? Can one point to something and say "this little blob here at x, y, z in the spiral arm of the Whirlpool Galaxy, it's a classic nursery"? Yes. The lifetimes of very massive stars (10-50 Myr) are comparable with the dispersion timescale for young clusters and associations. So massive stars tend to die near where they were born and they will be surrounded by their (more numerous) lower mass siblings. Lower mass stars have long lives and end up dispersing and making up the general population of a galaxy. It is unclear. The injection of energy and heating of gas ought to make it less susceptible to collapse and fragmentation. On the other hand that doesn't matter isf most of the gas that was going to turn into stars has already turned into stars. On the other hand, it is possible that the shock waves and outflows from supernovae actually compress surrounding structures and trigger new star formation. To some extent yes. 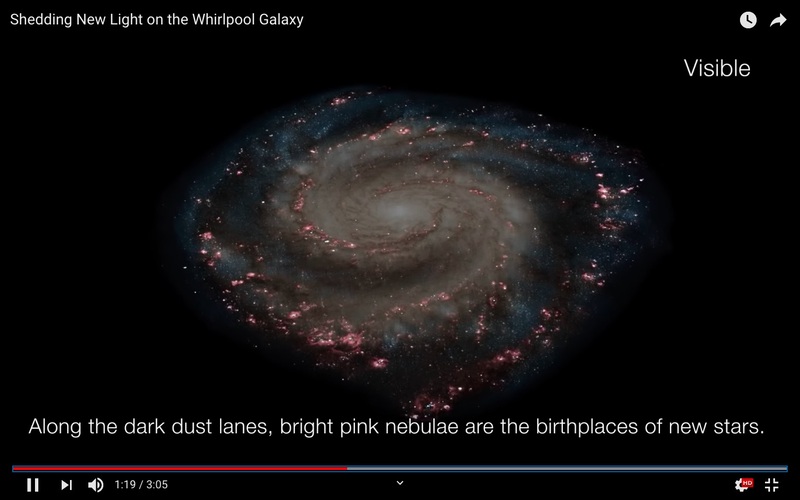 There are some massive clusters of young stars that can be observed in other galaxies and can be certainly identified as the birthplaces of tens of thousands or even millions of stars. On the other hand, in our own galaxy it appears that although most stars are probably born in clusters and associations, there is no such thing as a "typical" cluster and that star formation takes place at a range of scales and at a range of densities. i.e. Much of the star formation taking place in other galaxies may take place away from some of the obvious blobs of star formation. Not the answer you're looking for? Browse other questions tagged galaxy stellar-evolution star-formation or ask your own question. Is there an element of chance/chaos in stellar evolution? What will the mass of the new galaxy be? What can the total stellar mass of galaxies tell us?